Yuexiu has introduced new Home System in the previous guide. Did everyone try it out yet? 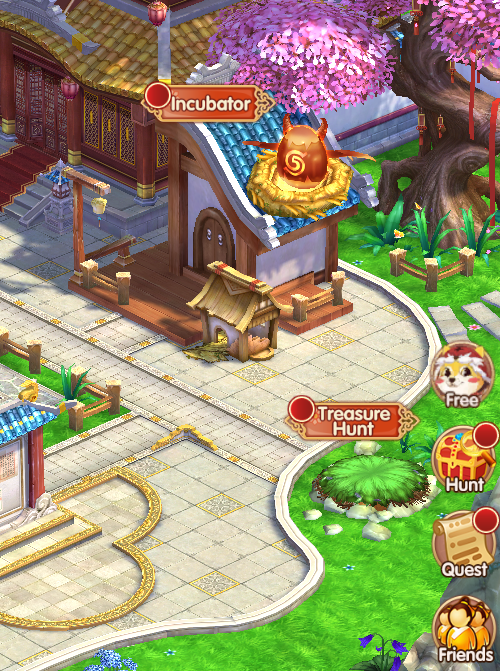 At the end of that guide, Yuexiu mentioned about the Incubator, which is the home of all pets you have. Let's take a look at how Incubator works in the game! In the Incubator, you can get pets by incubating pet eggs and all the pets you already have will be shown in the room. Can't wait to get your own pets? Let Yuexiu tell you how to get pet eggs. 1. 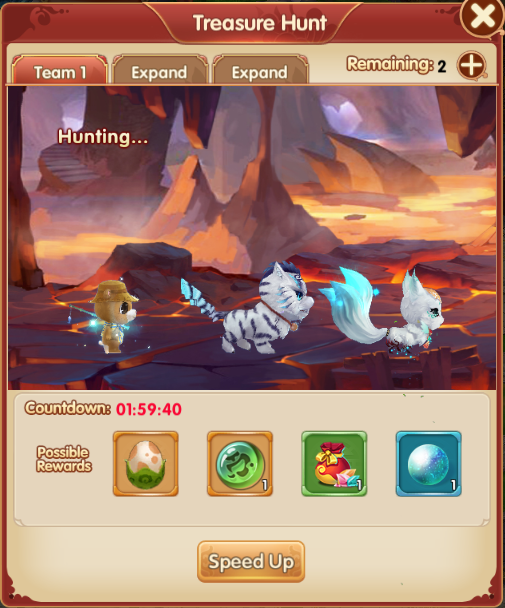 You can get a Prime Rare Pet Egg by completing Home Quest. 2. There is a chance of getting pet eggs through harvesting crops too. 3. Challenging Pet Instance can possibly give you an exclusive pet egg. 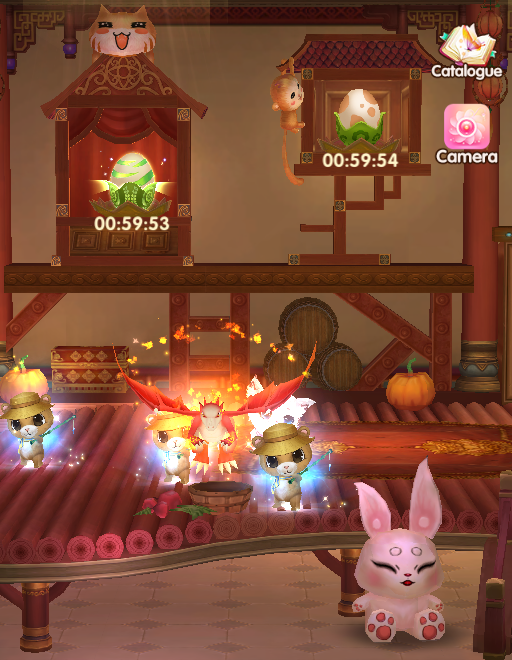 You can get certain pet by incubating exclusive pet egg. 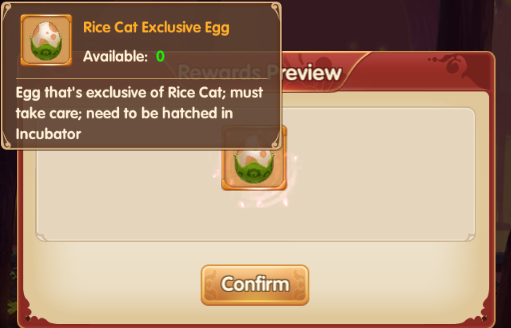 For instance, after defeating Kitten, there’s a chance to get Rice Cat Exclusive Egg. 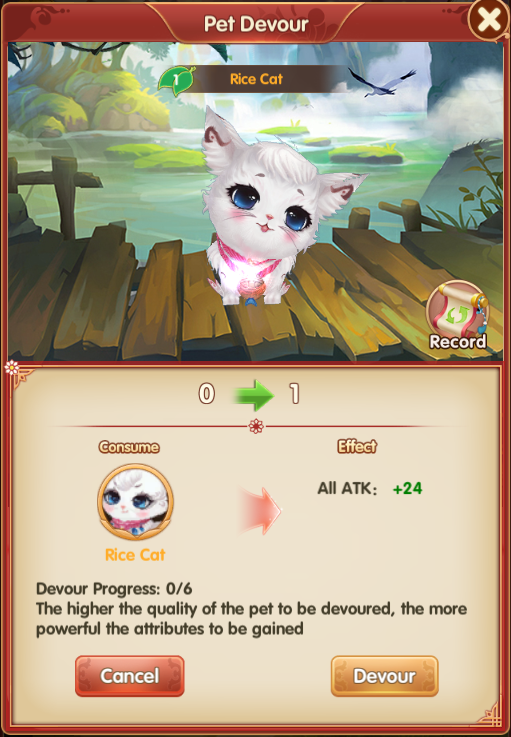 After incubating, you will get a cute Rice Cat pet. There are three qualities of pets: red, orange and purple. 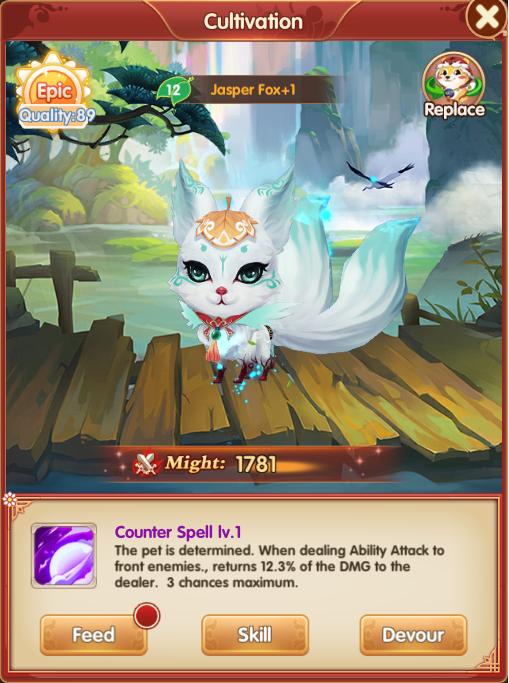 Pets not only increase the team might, but also have unique battle and life skills. Let's go and check them out! 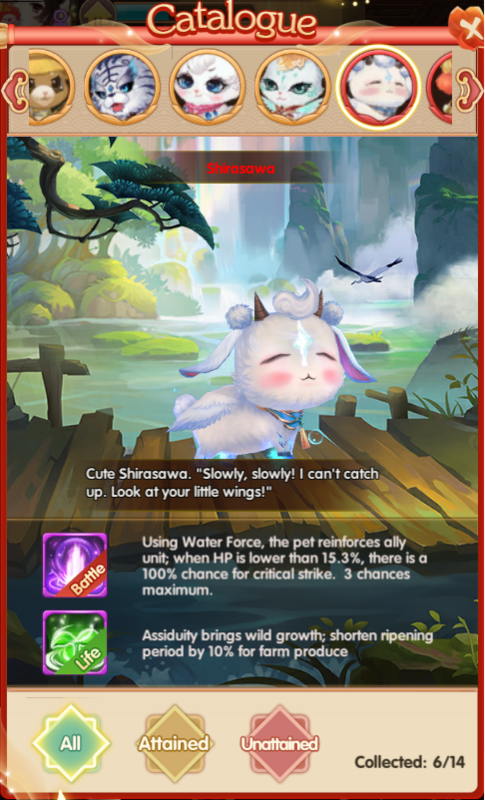 Pet quality will affect Buffs adding to the team and a high quality pet will bring more Buff effects to the whole team. 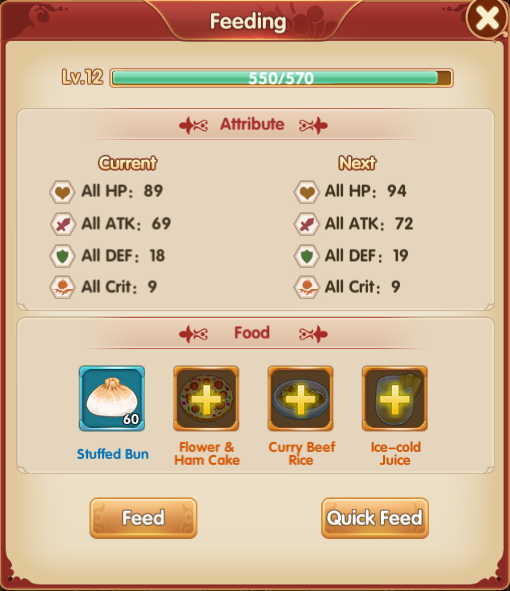 You can feed your pets with food to increase their levels as well as buff effects for the team! 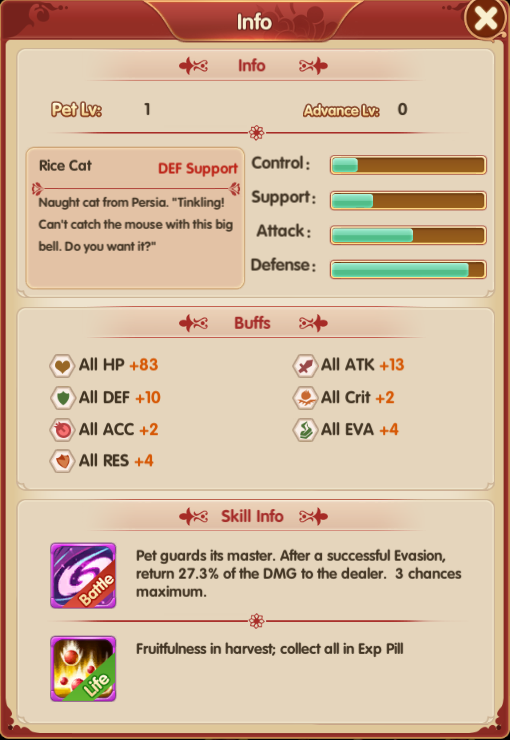 Pet can get promoted through Devouring other same pets and gain more attributes for the team. The higher quality of the pet to be devoured, the more powerful attributes to be gained. That's all for the introduction about Pets from Yuexiu. Let's get the pets you like!